Acidity regulators or pH agents are food additives used to adjust or maintain PH values. Acidity regulators are also known as acidifying agents or sour agents. These regulators are mainly used to give sour flavor to the food. In terms of food, acidity regulators are used as bulking agents, or preservatives, color fixatives, and antioxidants. These products are largely used in different types of foods such as cakes, biscuits, sweets, meat and poultry, sour milk, yogurt, beer, soft drinks, pickled food items, fruits & vegetables, and others. It is also used in infant foods. The factors driving the growth of acidity regulators market are growing demand for processed food & beverages and growing application of acidity regulators in various sectors. Additionally, increasing concern over food safety has also contributed in the growth of acidity regulators market. However, excessive amount of acidity regulators could cause various side effects, and it is a major factor restraining the acidity regulators market, globally. The market has been segmented on the basis of products, applications, and regions. Based on Products, the market is segmented into citric acid, phosphoric acid, acetic acid, maleic acid, and lactic acid. Based on Application, the market is segmented into Confectionery, Bakery, Processed Food, Sauces, Condiments, and Dressings, and Beverages. Based on Regions, the market is segmented into North America, Asia Pacific, Europe, and Latin America, Middle East & Africa (LAMEA). Growth in food & beverages industry in countries such as China, Brazil, and India has been driving the demand for acidity regulators in these countries. However, China is one of the largest exporters of food additives. On the other hand, increasing demand for soft and other bottled drinks in United States have also contributed to the growing demand for acidity regulators. Additionally, changing consumer?s preferences and growth in the income level of consumers in Asian region have also added to the market attractiveness. 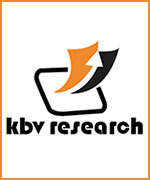 The key players operating in the acidity regulator market are Archer Daniels Midland Company (Wild Flavors), Junbunzlauer, ATP Group, Celrich Products Pvt Ltd, Chemelco International B.V., F.B.C Industries Inc., Fuerst Day Lawson Ltd., and Mylan N.V. (Bertek Ingredient Incorporation).